Hey, friends! 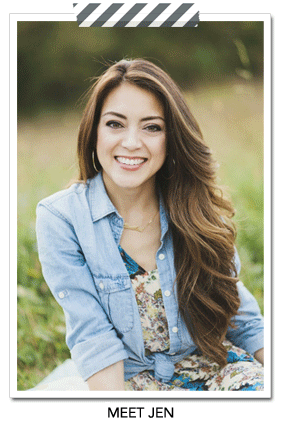 It’s Carrie Bishop, owner of River Rose Flower Company. 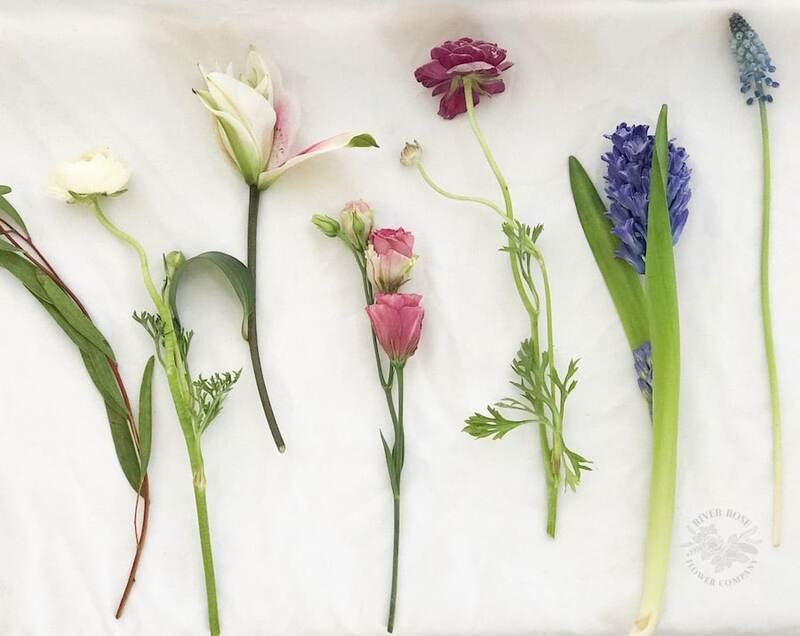 Today I am excited to share some tips on buying and arranging flowers from a flower market. 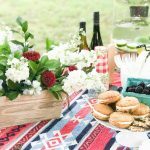 Flower markets, flower carts, and flower stands are on the rise. I can not tell you how many times I have walked in flower markets and there is always someone worried about which flowers they are going to buy. 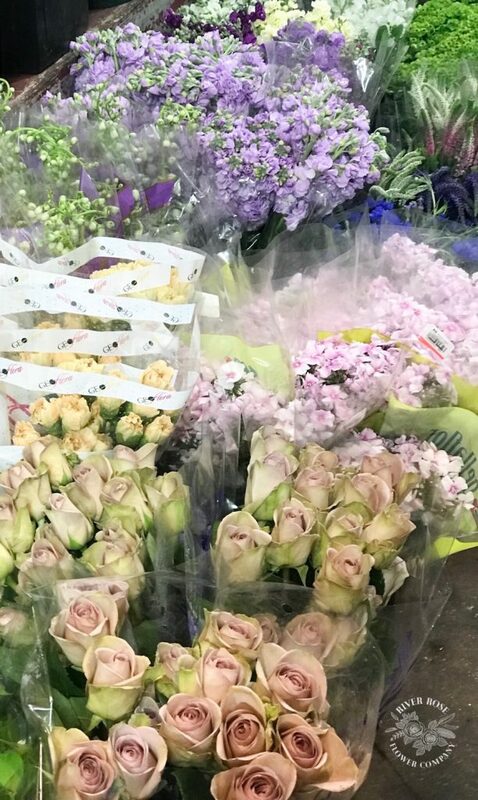 The good thing about flower markets is that they always have so many choices (but that can also be a bad thing for some people)! Sure, you can always stick with one type of flower and you will never go wrong with that option. 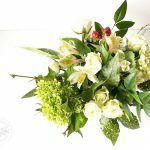 If you want to branch out and make your own mixed flower arrangement, you will have to make some choices. 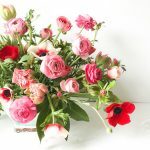 In this post, I want to teach you how to choose and buy the right of amount of flowers, a good variety of flowers, and how to arrange them like a pro. Let’s get started! There are three main types of flowers: base, accent, and filler. 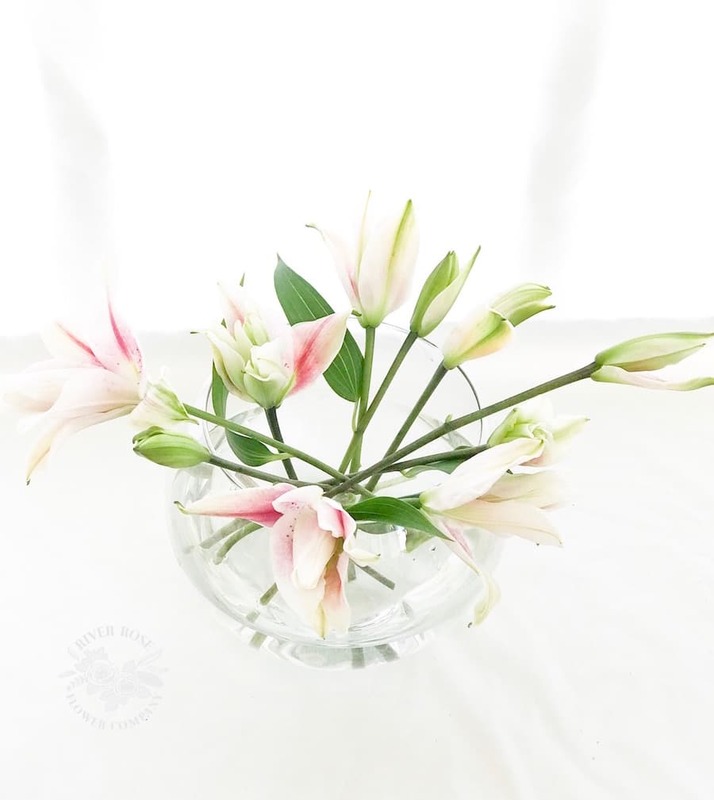 Base Flowers: Larger flowers like hydrangea, lilies, and gerber daisies. They are usually positioned towards the bottom or at lower points in order to keep a good balanced look. 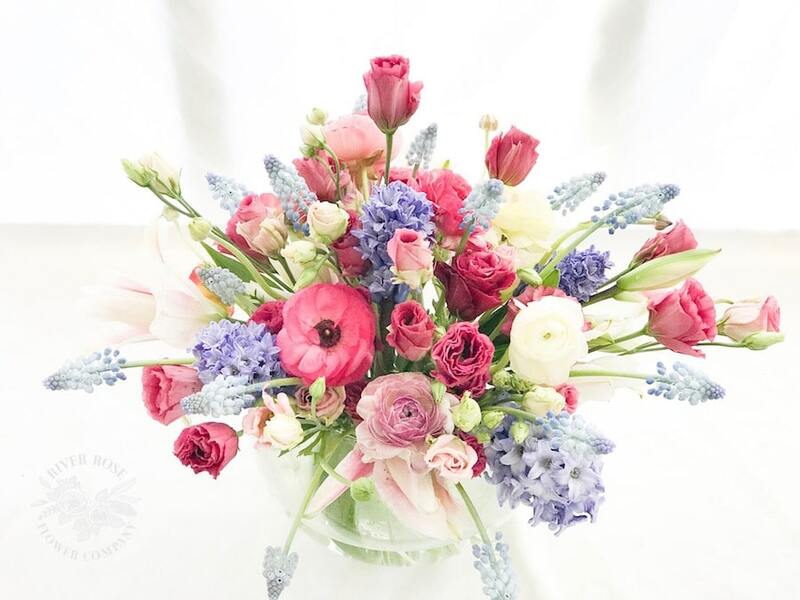 Accent Flowers: Medium-sized flowers like roses, tulips, ranunculus, and daisies. 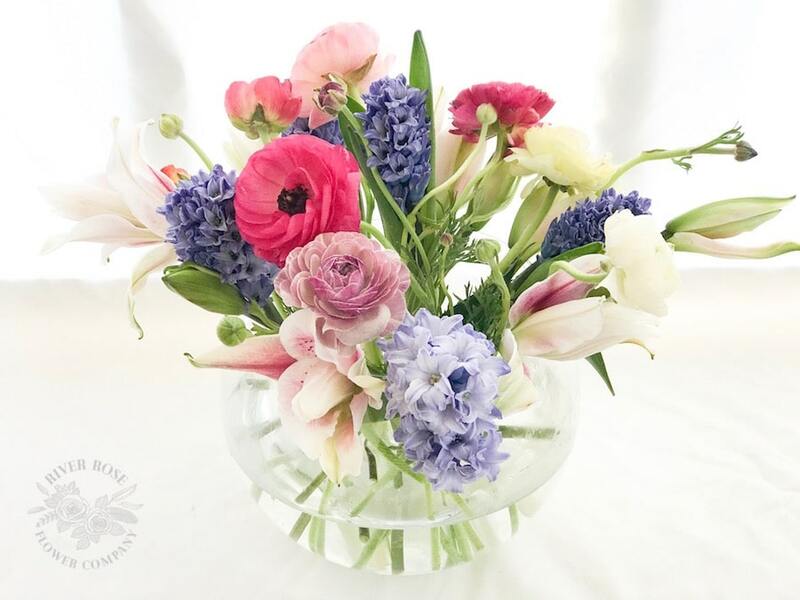 Accent flowers can go all throughout the arrangement, giving a nice well-rounded shape. 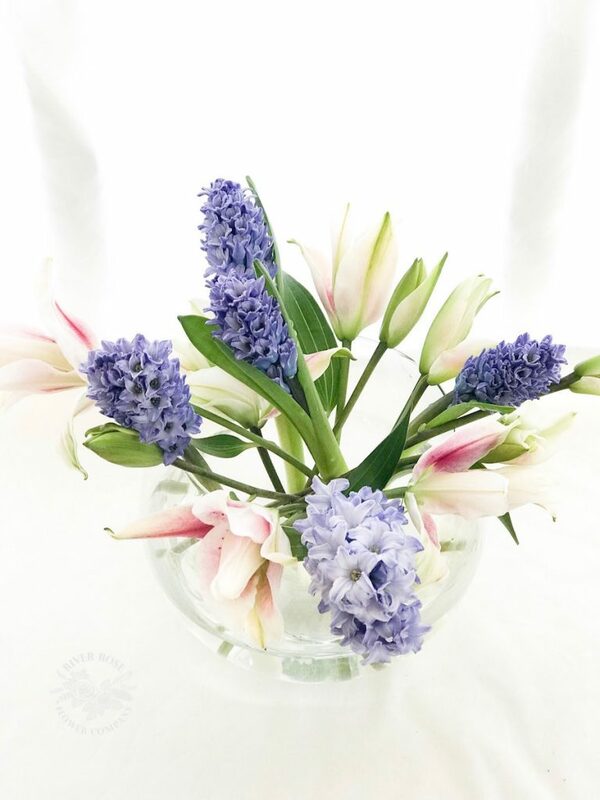 Filler Flowers: Micro-sized flowers like solidago, caspia, lavender, and wax flower. Filler flowers should be added last because they have tiny stems/flowers and can be added into the gaps in the arrangement to finish up the design. Pro Tip: Buy what is in season. I recommend buying seasonal flowers for the majority of your purchase. Depending on the size of my vase and the type of arrangement, I will usually have one or two types of year-round flowers only. It is always fun to arrange flowers that are only blooming for that time of the year. Here are some ideas for what flowers to look for during every season. Fall: Sun Flowers, Zinnias, Heather, Dahlias, Freesia, Magnolia, Queen Ann’s Lace, Statice, Gladiolas, Celosia, Amaranths, Snap Dragons, and Lisianthus. Winter: Tulips, Amaryllis, Juniper Berry, Heather, Holly berry, Pepperberry, Phlox, Queen Ann’s Lace, Star of Bethlehem, Statice, Magnolia, and Paper Whites. 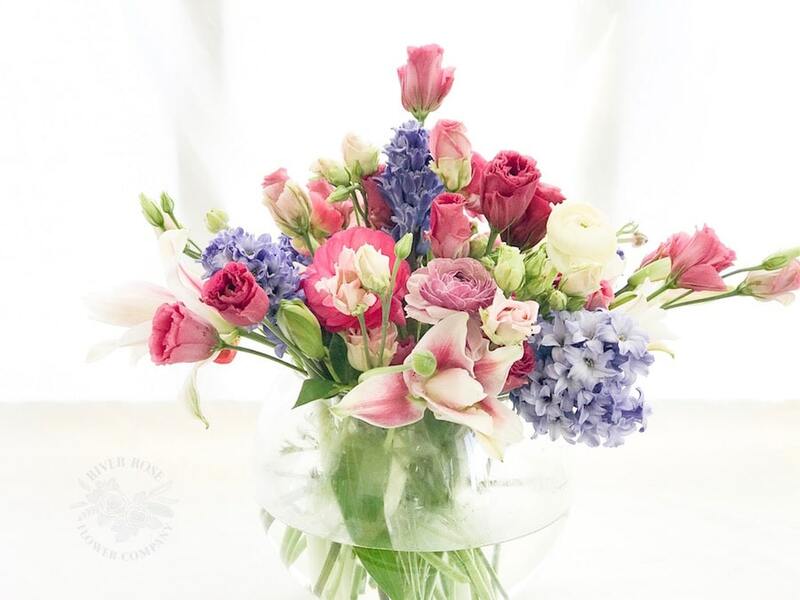 Spring: Astilbe, Hellebores, Hyacinth, Anemones, Ranunculus, Daffodils, Tulips, Stock, Straw Flower,Peony, Scabiosa, Amaranthus, Campanula, Poppy Sweet Pea, Lilac, Iris, Orlaya, Freesia, Nigella, Lisianthus, and Phlox. 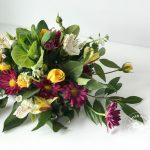 Year-Round Flowers: Roses, Lilies, Daisies, Mums, Carnations, Hydrangea, Alstroemeria, Cala Lilies,and Hypericum Berries. My flower market flowers, from left to right, I bought: Willow Eucalyptus (greenery), White Ranunculus (accent flower/seasonal), Stargazer Lily (base flower/year-round), Dark Pink Lisianthus (accent flower/seasonal), Dark Pink Ranunculus (accent flower/seasonal), Hyacinth (base or accent flower/seasonal), and Grape Hyacinth (filler flower/seasonal). Wide Mouth: This allows plenty of room for flowers and greenery. 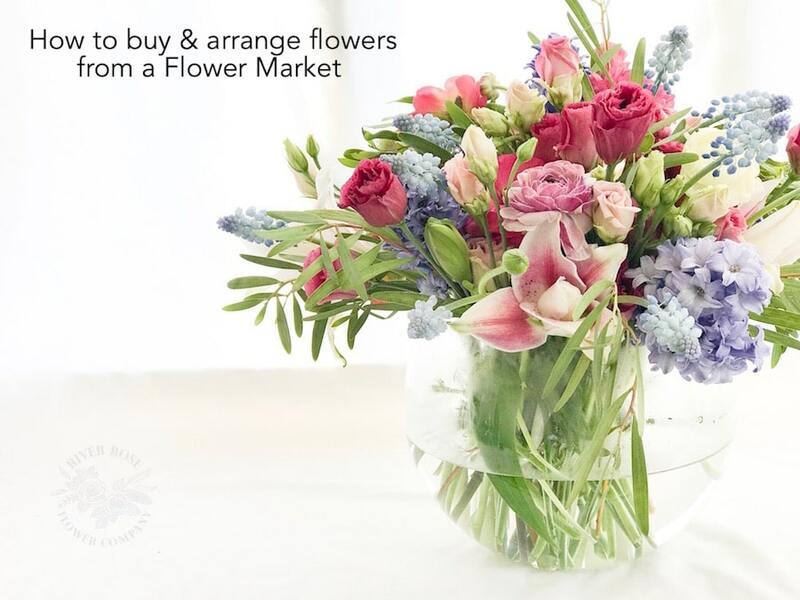 Size/Proportion: Make sure that all stems are long enough for the vase. Style: Pick a vase that you will continue to use that fits your style. 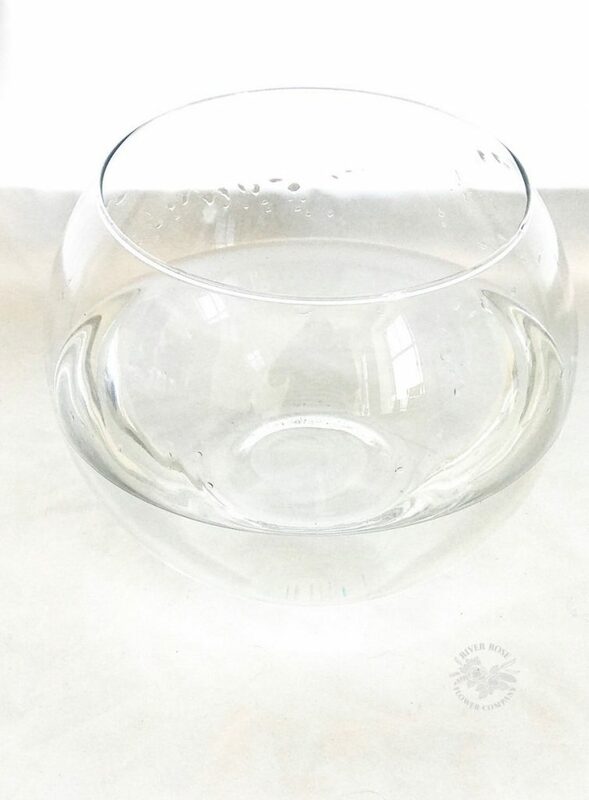 Pro Tip: If you don’t know what kind of vase you want, fish bowls go well with all different types of styles. They run about $7-$10. Roses always been a favorite flower of mine. I will often try to use Lisianthus in place of roses when I need more “bang for my buck”. 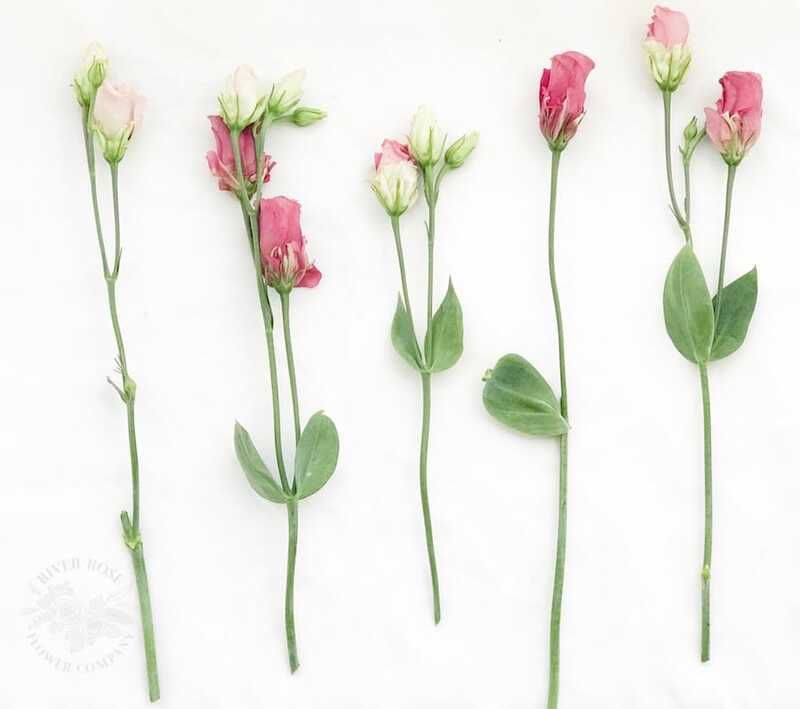 Standard roses have 1 blossom per stem, whereas Lisianthus have roughly 15 blossoms per stem. (Typically there are 8-12 stems per bunch.) 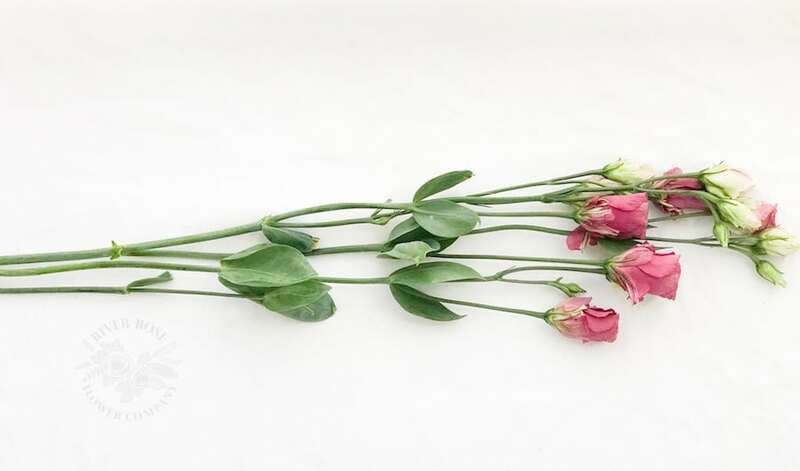 If you cut the Lisianthus stems like I did in the photo below, you will be able to fill up a big vase if it is the right size. Pro Tip: If you are unsure about the correct size of the stem, it is always better to have the stem too long rather than too short. I usually have to edit my flower arranging as I go and I have been designing flowers for 12 years. Add the base flowers first. Make sure that you cut the flowers to be in proportion to the size of the vase. When you add the first layer of flowers, it is always a good idea to figure out a design plan. 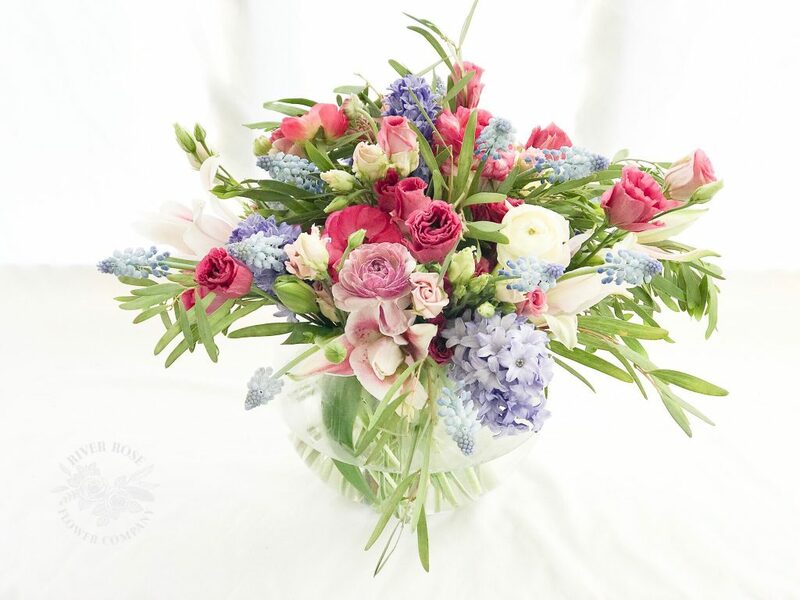 This arrangement is a round style. I suggest figuring where your north, south, east, and west points are (I call this the Compass Method). 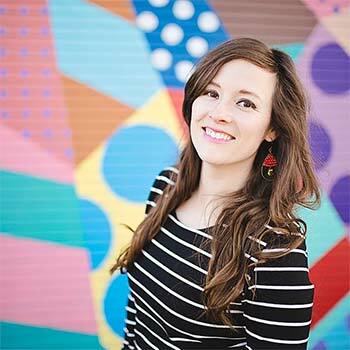 This will help you stick to your design style. For example: I made the stems on the East and West points stick out longer for depth. Add the first round of accent flowers. I had a bunch of five hyacinth and I put them each on a compass point (except for the last one, that went in the center.) Spacing out your flowers properly is key. 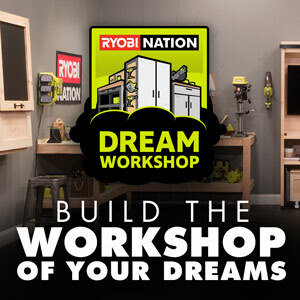 This will give you a nice even design. Pro Tip: Make sure you wash the stems of your flowers before you put them into your vase. Having clean water, will help pro-long the life of your cut flowers. Add the second round of accent flowers in between the gaps. Make sure that you are spacing out your flowers evenly. 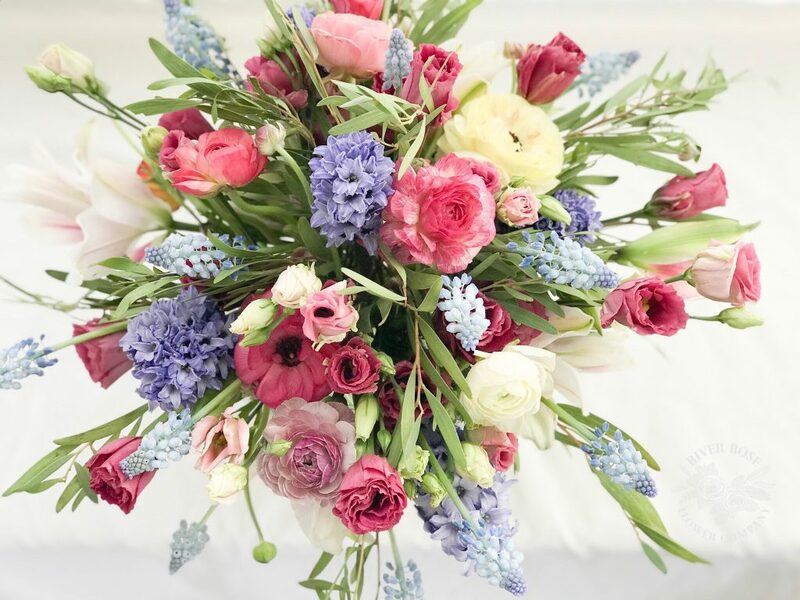 Using the Compass Method will help you with flower spacing and balance (making sure the weight of your flowers are even to your design style:round/symmetrical). Add any other accent flowers that are left. Smaller accent flower Buds are great to have radiating out, while larger accent flower buds can cover holes, if you push them in deeper . Alternating with some buds radiating out and some buds being pushed inward, will create great depth in your arrangement. Add your filler flower in a radiating pattern. I usually start with the N, S, E, W points on the bottom and add more filler flowers in between those points. I will typically have one small bud as my highest point and then I will make a triangle of filler flowers around that center point. Add the greenery last. 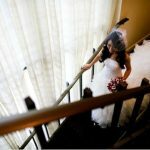 The greenery will frame the flowers and lighten the mood from a modern style design to a loose garden/Bohemian design. The compass method will help you spread out your greenery properly. Enjoy your flower market flowers! 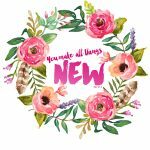 I hope this tutorial inspires you to check out your local flower market and try a floral arrangement of your own with some new types flowers. Have fun with it! 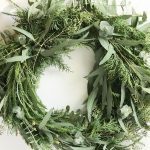 I’d love for you to check out my website RiverRoseFlowerCo.com for more floral design tutorials and flower inspiration!